At Beau Wine Tours & Limousine Service, we offer the most reliable airport transportation service to and from Napa Valley and Sonoma. In order to start your wine country getaway, our transfer services exceed standards of luxury. Whether you are on vacation or attending a conference, our chauffeurs ensure your trip is comfortable and worry-free. Certainly, Napa Valley and Sonoma wine country are very unique destinations. Shifting traffic patterns, long-term highway construction, and confusing backroads characterize the areas. It’s important to realize that you don’t have to leave your schedule in random hands. Why? Because our proven process results in thousands of satisfied clients every year. First, we will assign one of our licensed chauffeurs. Second, you will receive the vehicle of your choice. Lastly, you will enjoy your ride in peace. As a result, you get where you need to go without the stress of unplanned mishaps and forgotten pickups. On the whole, our trained chauffeurs use top-quality resources to make your journey smooth. For example, they are in wireless contact with our dispatch office to receive up-to-date traffic information. Furthermore, your chauffeur will find and transport you on time, every time. Finally, you have the option to customize your travel experience anytime you ride with Beau Wine Tours. Meanwhile, we pick-up and drop-off guests at all major nearby airports and local FBOs. In addition to airport transportation, we also offer an hourly Private Charter. The advantages of booking a charter are significant. For one thing, it allows you to take advantage of sightseeing options along the way to wine country. Also, we recommend local favorites, make reservations for your party, and assist you with any travel needs. 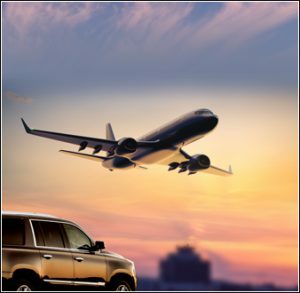 As soon as you finalize your flights, call us to discuss our airport transportation vehicles. Since we have a variety of options within our fleet to meet your needs, you will have transportation flexibility. Whether its just 2 of you, or 200, we have the vehicle to fit your group. Let us help you plan your arrival and departure! When you book airport transportation with us, you get a dedicated team of hard-working professionals. From scheduling your trips to planning your itinerary, we help manage your time. However, we specialize in providing the highest level of customer service and customization. Ultimately, our dedication to class is noticeable from the way we carry ourselves to the way we treat our clients. Instantly, you will feel like a VIP whenever you step into one of our pristine vehicles. Want a Coke in the back waiting for you? Consider it done! Need us to grab all luggage except your briefcase? We’ve got your back! What about changing your arrival time at the last minute? We work with you! Occasionally, we’ll even surprise with a special gift. Because we appreciate our clients. As you can probably see, you’ll get 5-star treatment no matter where you are headed. Finally, here are the services and amenities you can expect from Beau Wine Tours & Limousine Service. Beyond servicing several airports, we operate in many counties and cities. So you can rest assured that your transportation needs are taken of wherever you are going. All in all, Beau Wine Tours & Limousine Service won’t let you down when it comes to airport transportation. As soon as your travel plans are set in stone, contact us for all of your transportation needs. Without delay, we will book your ride for you – complete with the customization you desire.